One of the many highlights was the cover of Marianne Faithful’s ‘Broken English’; re-imagined as a moody, aloof, Italo house lament with a infectious sleepy, but pulsing, groove that just went on forever; the only way to bring it to an end was with a long fade out. With only the odd set of remixes and assortment of EPs to fill the void between then and now, their debut LP is only just being released next month. Just as ‘woozy’, if not even more so this time around, the political undercurrent has been replaced for the most part (though I’m sure the duo would disagree) with a dazed, amorphous litany on the pains of love, obsession and devotion. With an ice-y if plaintive realistic bent, the album’s title suggests a despondent, if morbid, curiosity – coined apparently after mishearing a Fassbinder film title. But fear not, this is a thing of utter ethereal pop beauty. The very first melting tones of opener, ‘Politics’, give it away immediately: this is an angelic echo of lilting Madonna (when she was more of a cavorting, salacious, enigma), the Cocteau Twins and Massive Attack (albeit the Bristol massive in an imagined 80s Miami club setting). That same opener also introduces us to Melissa Smith’s pulchritude siren whispers; diaphanous and wafting deliciously across an ether of suffused backing. But it is the halcyon, if tentatively somnambulist, highlights of ‘Reproduction’ and ‘Warm Winds’ that really seep into the consciousness. Both songs swell in a coating of halcyon, nuanced melodic fog. The first is a real subtle, slow burning amorphous dream, the other, by way of exotic 80s UK r’n’b, a lolling paean. Outlands also deliciously touch base with early Eurythmics and Prince (via the Gazelle Twin) on their wilting tidal opus. Yet make these influences somehow sound almost nourish and uber- sophisticated – especially on the slinky, ascending motif rich, ‘New Reptiles’. Love Is As Cold As Death is a debut that will surreptitiously unfurl its alluring mysticism and themes over time; clearing room for it self in the next Monolith choice list. Well worth the wait. Continuing to make our way through the bountiful release schedule of Europe’s most erudite modern jazz label, ACT, the Monolith investigates both the latest ‘duo art’ pairing of Belgian guitarist extraordinaire, Philip Catherine, with German born bassist, Martin Wind, and the latest virtuoso piano suite from the Michael Wollney Trio. 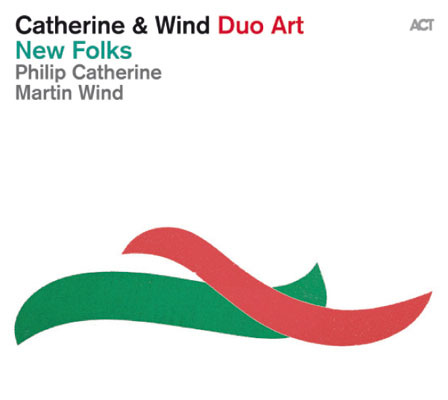 From the label’s highly successful counterbalanced series of duets, Wind and Catherine’s cross-generational New Folks is another fine example of ‘poised’, ‘sophisticated’ and ‘meticulous skill’. All attributes I’ve used previously before: and for good reason, as each runs through this whole congruous series. For good reasons, Catherine was nicknamed the ‘young Django’ by none other than Charles Mingus for his relaxed improvisational acoustic technique, which echoed and replicated the famous horn rather than guitar players of jazz’s golden epoch. Winning plaudits and the respect of his peers over a fifty-year career, his sagacious effortless tones are now accompanied by the relatively spritely, Wind. A student of the 80s, Wind’s introduction to Catherine’s music blossomed after hearing the guitarist’s collaboration with the acclaimed Danish double bass player, Neils-Henning Oersted Pedersen, on The Viking. Decades later and the pair finally met last year when ACT label boss, Siggi Loch, acquired their services. To get acquainted so to speak, the duo set up a short tour of German clubs before hitting the studio; sounding out each other’s nuanced ticks and styles. Lovers of ‘melodic jazz with swing roots’, the partnership pick their way through a noodling soiree of perky and often longing narratives, with Catherine switching between a twanged acoustic and sustained electric. Placably jaunty and even playful, the album’s track list is a charming mix of breezy scatting joy – best of these is the meandering ‘Fired Bananas’, which has Catherine, in his element, humming along without a care in the world – and subtle explorative exchanges. As you’d expect the playing is harmonically tight and of the highest standard. With the guitar parts deftly seeking out new spaces and crevices to fill as the bass circumnavigates. They also do a fine diaphanous job of replicating Paul McCartney’s quaint, ‘Jenny Wren’; staying quite true to the original they tweak the main melody just enough to add something different. Naturally dainty and delicate with the sort of fireside warmth you could toast future and past love affairs by. 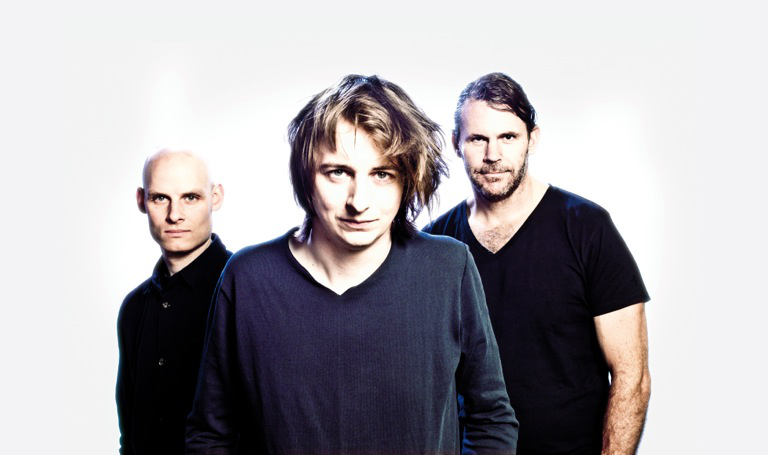 An ACT stalwart, and one of their youngest protégées, the gifted pianist Michael Wollny, and his trio, return for their sixth album, Weltentraum. Apparently ‘unpredictable with an unquenchable thirst for invention and reinvention’, it’s no surprise that when Wollny decides to create an album of covers, he plumps for some obscure and highbrow raising choices – not all of them even original songs but poetry and literature too. Words play an important role, or to be more specific, the idea of words, as this record is for the most part is devoid of vocals and speech (we have to wait until the last track to hear any singing). Chosen from across the ages then, and set in motion by the Gustave Mahler phrase, ‘Wir suchen den weltentraum’ (that roughly translates as, ‘We search the dream worlds’), the unusual musical journey begins in medieval France with the poet Guillaume de Machaut and finishes up in present day. Far from the planned exercise in ‘collecting standards’, this album sets Nietzsche to music (the short, tumultuous instrumental interlude ‘Fragment an sich I’); vastly improves the wanton morose of The Flaming Lip’s ‘Be Free, A Way’; attempts to turn the surreal horror world of David Lynch’s Eraserhead into a fusion jazz experiment (the Lady In The Radiator’s ‘in Heaven’); and turns the platitude dross of Pink’s ‘God Is A D.J’ into Thom Yorke-esque Tibetan Baroque opus (vocals and electronics courtesy of Theo Bleckmann). Weltentraum is unorthodox for a covers album and even more so for a jazz one. The only connecting theme with the talented pianists other work is his…well, progressive and flittering between styles of piano playing. 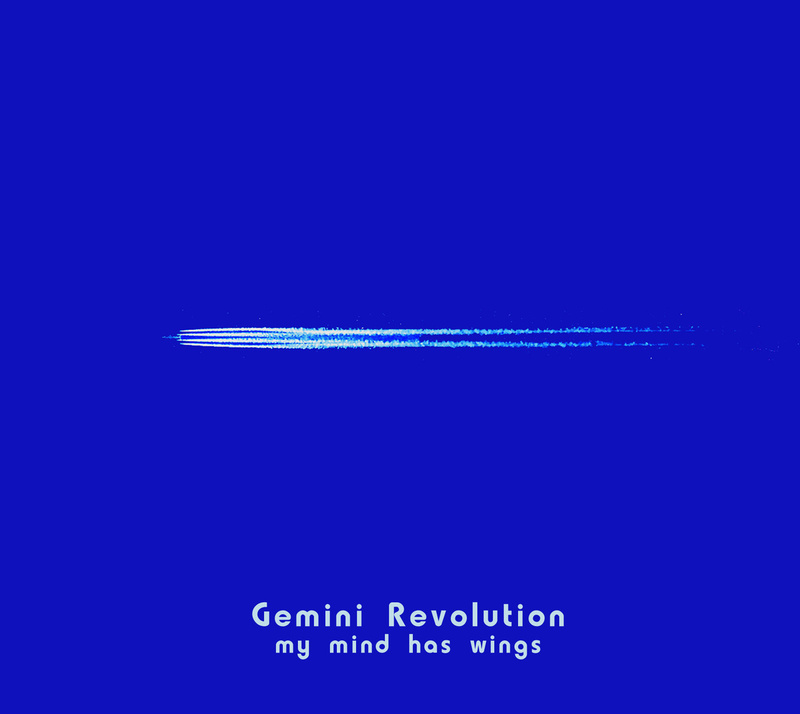 The controls may be set on a collision course with the sun, but it takes the best part of an hour for the Gemini Revolution to get there. A final cyclonic phaser jam breaks out in the dying embers of their closing grand sustained Kraut freakout, My Mind Has Wings’ (a 26-minute drone on the Forbidden Planet with passing murmurs of Popol Vuh’s Affenstunde). As for the rest of this extemporised travail through the lurking ether and echoes of an esoteric off world, the trio cut loose over an oscillating electric field of fizzling stratospheres. A congruous extension of Dedric Moore and Delaney Moore’s electronic psych outfit, Monta At Odds, with the bonus addition of Mike Tanaya on drums, vocals and percussion, the Gemini trio end whatever journey they’re on in unison but start out at amorphous odds. Tanaya plays as if marooned in the corridor of the studio, miles away from his comrades; so distant and isolated is his free jazz drumming – imbued with a certain penchant for Mani Neumeier or Jaki Liebeziet by the sounds of it. Untethered to any particular metronome, the percussive rhythms and solo rolls plow on as an ambient malaise of held synth notes and wah-wah guitar ooze, seep into the textures and reverberate. These subdued, for the most part, panoramas look out over a musical landscape, last inhabited by the Tangerine Dream, Soft Machine and Acid Mother Temple. 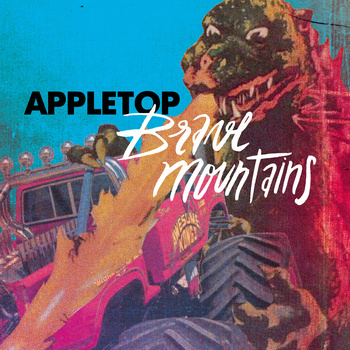 Though roaming the edges of an imagined deeper space, there is an echoing motif of gothic, Earthly cathedral organ – that will be those Tangerine Dreams, and even Kluster vibes – permeating from the afterlife. So not just a trip out beyond the Saturn rings into the great unknown but also a reminder of immortality.